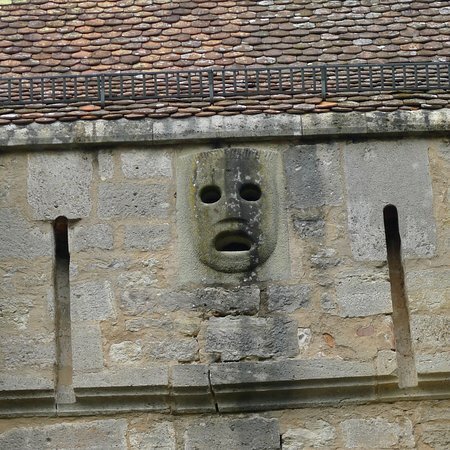 If you are heading to the medieval church, this is on your way. 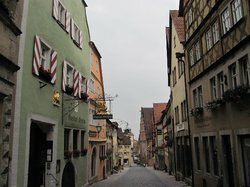 Quite nice and off the beaten track. 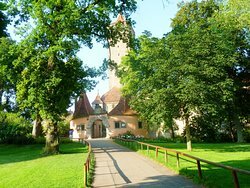 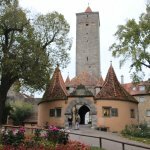 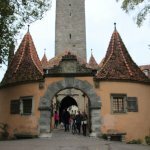 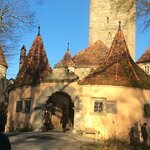 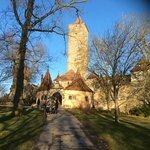 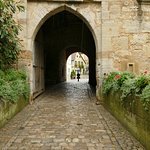 But even better, this tower gate leads out onto a beautifully landscaped park (once serving as palatial grounds destroyed by mid millennium earthquake) which borders Rothenburg's wonderful valley panorama. 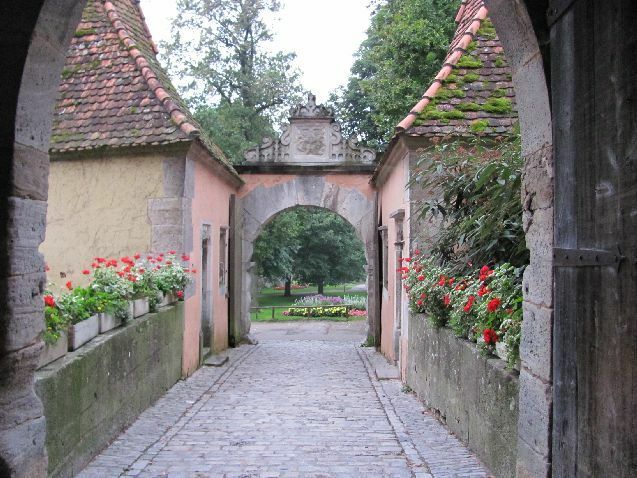 We loved the look of this gateway from the garden , it has soo many features and was erected shortly after the castle was destroyed by the earthquake in 1356. 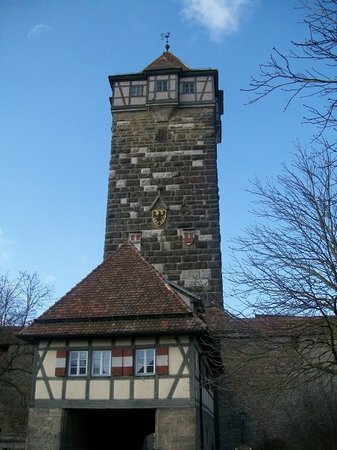 The outer gate contains Coats of Arms and the Guard house and Costums House. 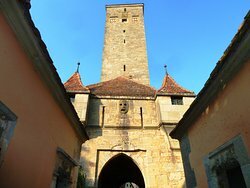 This gate and tower that leads to the old castle grounds which are now the gardens are picturesque and house some artists shops. 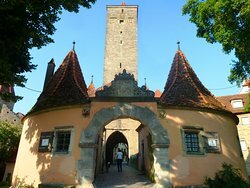 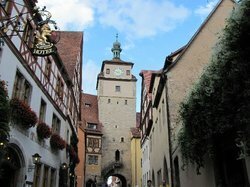 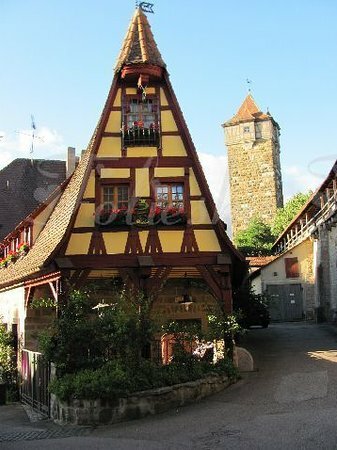 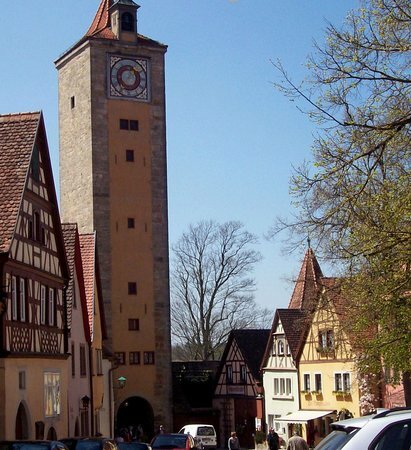 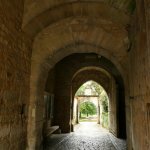 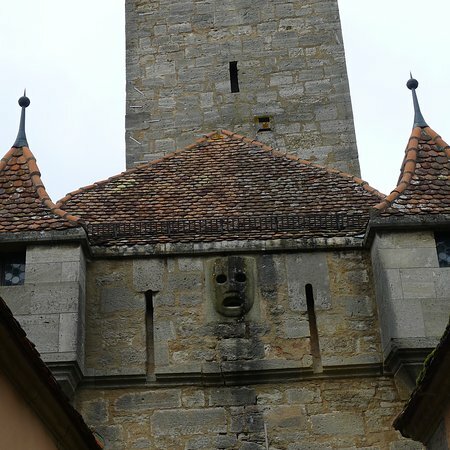 Enjoy a slow stroll through them, similar to the other gates around Rothenburg but perhaps a bit better for photos. 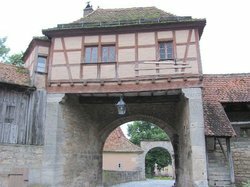 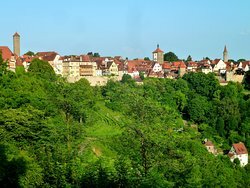 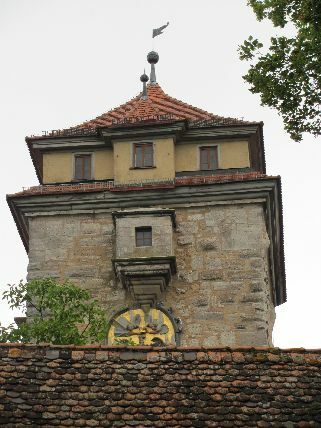 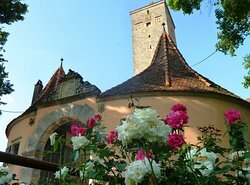 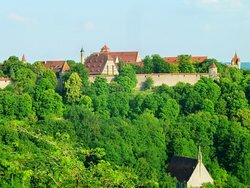 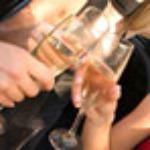 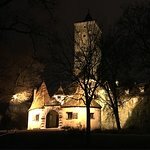 Get quick answers from Burgtor und Burg staff and past visitors.